On August 18th, from 2-4 p.m. EDT, the Environmental Law Institute and the National Invasive Species Council will co-host a webinar addressing the problem of recreational boats spreading aquatic invaders—both plants and animals. Aquatic invasive species (AIS) are a persistent scourge of our lakes, rivers, and streams. 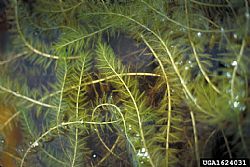 These species—such as the zebra mussel and Eurasian watermilfoil—cause substantial harm to the environment and economy by changing food webs, undermining commercial and recreational fisheries, clogging pipes, and through other means. Unfortunately, we cannot eradicate species once they are introduced—but environmental, government, and industry stakeholders are working together to stop them from spreading into new areas. This webinar will introduce new legal tools and collaborative approaches to prevent the spread of AIS via recreational boats, which are a major pathway for the spread of invasive mussels and other AIS. Speakers will discuss state, industry, and environmental perspectives on the “building consensus” approach used to develop and implement legal tools to address this pathway in the western US. In addition, speakers will address other industry efforts at the national level to minimize risks associated with aquatic hitchhikers and recreational boating. The event is free and open to the public. Contact Narayan Subramanian with questions.